About a month ago, one of your salespeople came to you following an odd prospect meeting. During that meeting, the prospect shared that he heard your company is having financial issues. As a privately-held company, you are baffled by this news as no corporate financials are shared publicly. Over the last few weeks, several of your salespeople hear the same rumor from both prospects and clients. Of course, the sales team is now getting antsy about this rumor too…wondering if it is true. The truth is, that while the company is not about to go under, things are not as financially strong as they used to be. Because of this financial concern, prospects are hesitant to do business with your company. Clients are wondering if your company is in trouble. And, the salespeople are thinking they better brush off their resumes and start looking for a new job. Despite the rumor, the team has an aggressive revenue target to hit this year and needs to stay focused on the task at hand. It’s on your shoulders to get things on track…and fast! What message do you send to the salespeople to address this financial concern with prospects and clients? 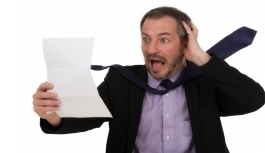 How do you quell the sales team’s fears of corporate financial stress?